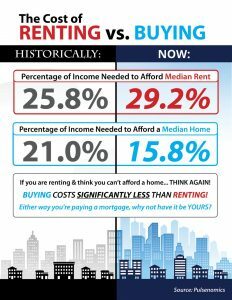 If you are a first time home buyer, check out this infograph!!! The cost of renting continues to rise, so why not pay your own mortgage, instead of your landlords? There are many great lending options available for first time home buyers. Talk to your lender and Realtor today and be on your way to home ownership!